Festival fashion is a great way to express yourself in the most creative of ways. And any keen festival goer will know that building your festival wardrobe is all a part of the whole festival journey. But being different isn’t easy when you’re amongst thousands and thousands of people going to the same place, seeing the same bands, and dancing to the same music. If you’re in need of some serious festi-style inspiration, then let us take you to 3 of our favourite style bloggers in the UK and show you some new, exciting ways to jazz up your festival suitcase. 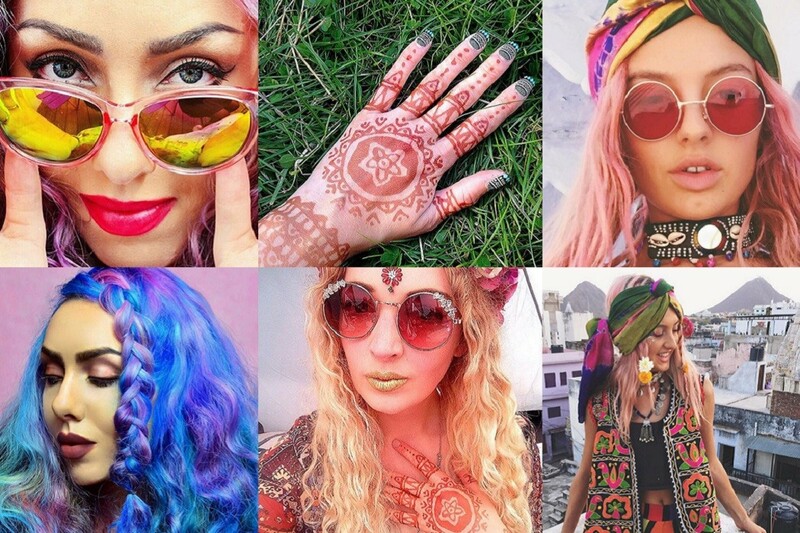 As seen on super hot fashion blogger Stephi LaReine, rainbow hair is all the rage for festival season. 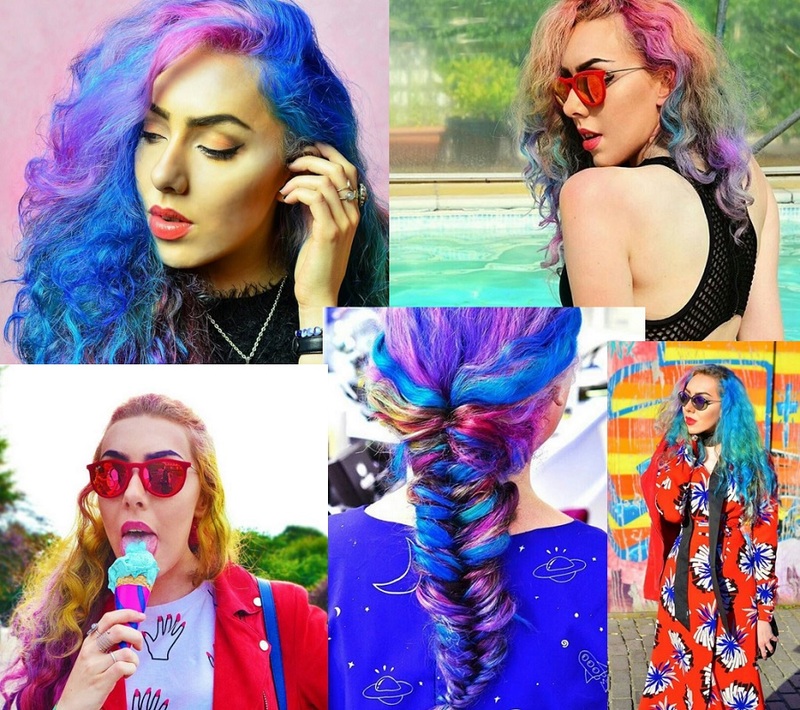 This stylish mermaid rocks her look all year round though and she’s forever changing her pastel locks to keep readers on their toes. She’s had every colour under the sun and never holds back on colour. If you love her style, you can get the same look with hair chalks as a temporary solution. Or if you want a more permanent solution, there are plenty of great hair dyes out there including Manic Panic and Crazy Color. And when it comes to making sure the rainbow look is complete, Stephi never forgets a bright pair of sunglasses. If you follow her instagram, you’ll know that she’s an avid collector of fun and fabulous frames, and she loves to pair bold colours with her dreamy rainbow locks. You can opt for some simple metal frames or you can work the full rainbow like Stephi with some pastel coloured plastic wayfarers. Whatever you choose, your multi-coloured mane won’t be missed even when you’re dancing in a crowd of thousands! If you love style blogger Stephi’s pastel coloured sunnies with mirrored lenses, steal her festival style with these affordable Infinity S9199 sunglasses for just £25.00! Blogger Alice from Alice Tinted Glasses is a total 70s babe. If you’re looking for boho style inspiration, Alice is your girl. She’s a vintage fashion fan and her hippy sense of style means that she looks festival ready at any time of year. 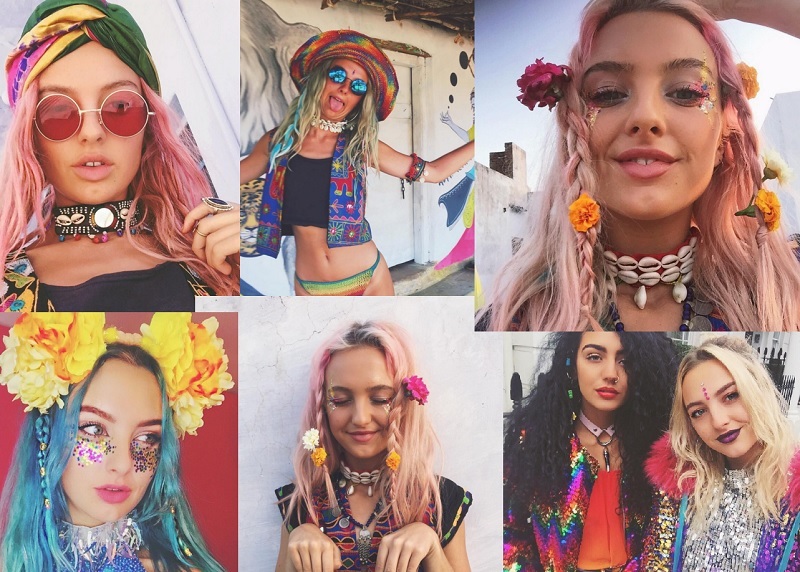 But when she hits up Glastonbury, she transforms those hippy vibes into something spectacular with some tribal / ethnic style elements that really make her stand out. 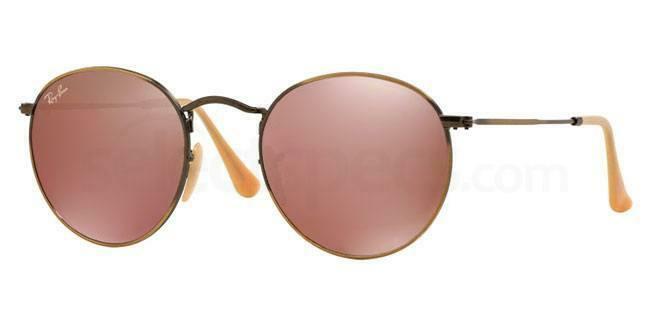 If you love this look as much as we do, you can get the same bohemian style with some 70s round lenses like the Ray-Ban RB3447 round metal sunglasses, available to buy online at Select Specs. 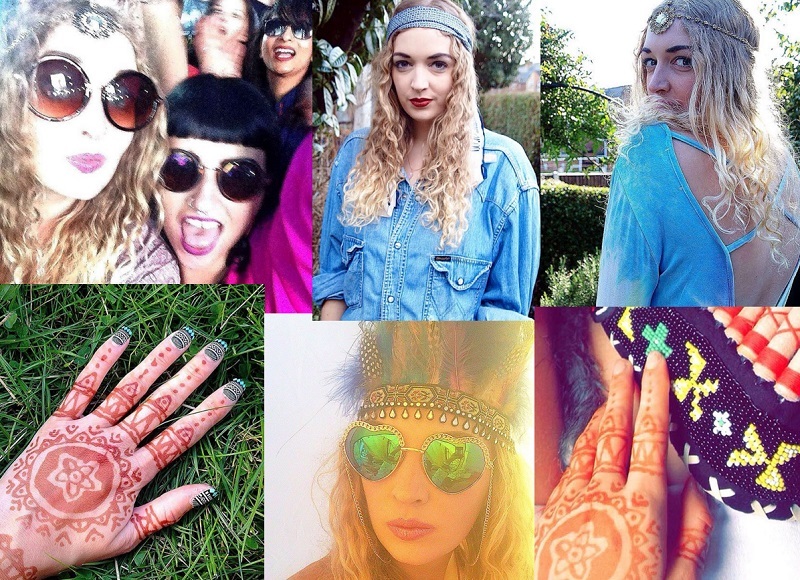 Just don’t forget to stock up bindis and a fancy headdress to complete your festival look! In this third festival look, pretty much anything goes. Blogger Tiger Lilly of Easy Tiger (and also a part of the super girl group of creatives, The Confetti Crowd) rocks a gorgeous festival style that brings together everything from glitter and sequins to giant flower crowns and big oversized pom poms. Just like blogger Stephi, colour is everything here and just like Alice Elizabeth Varney, patterns and prints rule. So if you want the best of both worlds, take the lead from Tiger Lilly and work the carnival queen look with a mix of florals, glitter makeup, sequins, brightly coloured prints, and plenty of face gems. Don’t be afraid to clash colours and patterns because carnival style is all-embracing. We particularly love how Tiger Lilly wears flowers in her hair, so we’ve picked out a 3D flower frame by Dolce & Gabbana to complement this look. 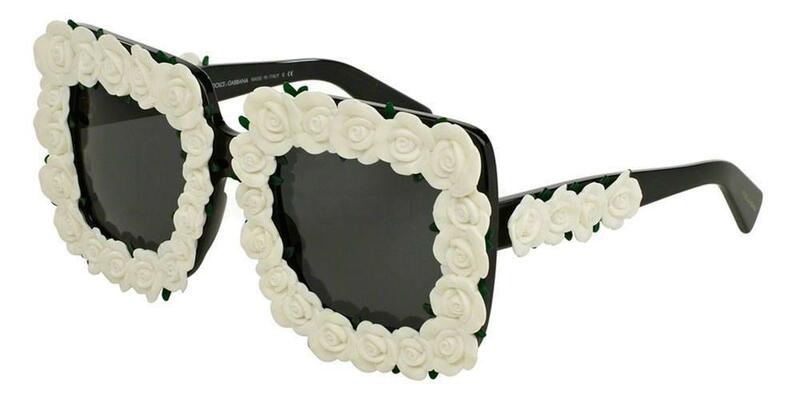 If you want to add some flower power to this year’s festival wardrobe, get your hands on these Dolce & Gabbana DG4253 frames, available in 2 fun colours for summer. 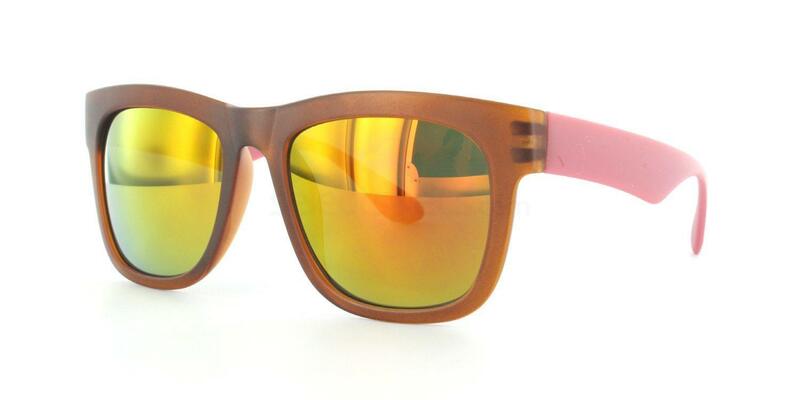 Need some festival sunglasses under £20? 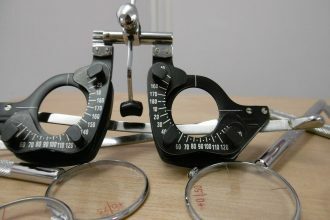 See our affordable wishlist here.